The Cass County Extension office is again hosting continuing instructional courses (CICs) for local commercial pesticide applicators, but wants to remind anyone who has yet to attend the training that all CIC training must be completed by the end of December to keep a license current. 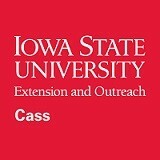 To avoid conflicts with year-end scheduling, Cass County Extension is requiring that all training dates be scheduled by Friday, December 14th. According to Olson, reshow dates can occur after December 14th, as scheduling allows, but they must be on the calendar before then to be honored. To ensure a spot on the training schedule, applicators needing to complete CIC for the year are asked to call as soon as possible if they have a preferred training date, but no later than Friday, December 14th. Applicators calling after this date will NOT be placed on the training schedule. Training dates can be scheduled locally by calling the Cass County Extension office at 712-243-1132 or by emailing Office Assistant Lori Anderson at lander@iastate.edu. For more information on the Commercial Pesticide Applicator program or the CIC classes, please visit www.extension.iastate.edu/psep/ComAp.html.